ARV treatment on the rise, but UN urges urgent action as thousands of young women continue to be infected with HIV. The number of HIV-infected people taking anti-retroviral (ARV) medicine has doubled in just five years, the United Nations said while highlighting high infection rates among young African women. A new report released by UNAIDS, a UN programme, on Monday said thousands of young women and girls across the world are being infected with the HIV virus every week and preventing new infections is still proving difficult. The report added that while UNAIDS was on course to hit a target of 30 million people on ARV treatment by 2020, infection rates among young African women remained disturbingly high. In 2015, an estimated 7,500 teenagers and young women became infected with HIV every week globally, with the bulk of them in southern Africa. Data showed that in southern Africa, girls aged between 15 and 19 accounted for 90 percent of all new HIV infections among 10 to 19-year-olds, and more than 74 percent in eastern Africa. The number of HIV-infected people taking ARV drugs has doubled in only five years. Sidibe hailed the progress made with HIV treatment, but warned that any advance was “incredibly fragile”. “New threats are emerging and if we don’t act now, we risk resurgence and resistance. We have seen this with TB. We must not make the same mistakes again,” he said. Dr Kaymarlin Govender, research director at HEARD, an applied research centre on HIV/AIDS at the University of KwaZulu-Natal, in South Africa, told Al Jazeera that adolescents and young girls remain highly vulnerable because of a number of factors “at individual, social and structural levels”. There are three million more HIV-positive people on drug treatment now than there were in 2014. 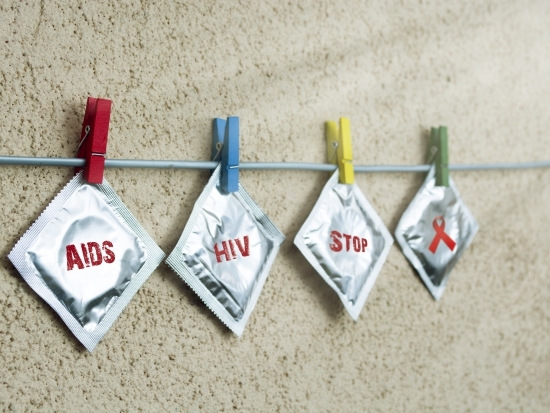 The UNAIDS report said that data from South Africa showed young women and teenagers were catching HIV from adult men, many of whom catch it much later in life but then continue a cycle of infection. The report also shed new light on HIV infection and treatment among adult men, showing that men are much less likely to know their HIV status and to access treatment than women. This means globally there are 18.2 million people on treatment. UNAIDS said its goal was to have 30 million on treatment by 2020. Last year, there were 5.8 million people over the age of 50 living with HIV, a figure that is greater than ever before. Govender said that reversing the trend required an element of social protection. “We also need to focus on psychosocial support at family, peer and community in an effort to build healthy childhoods,” Govender said from Durban.